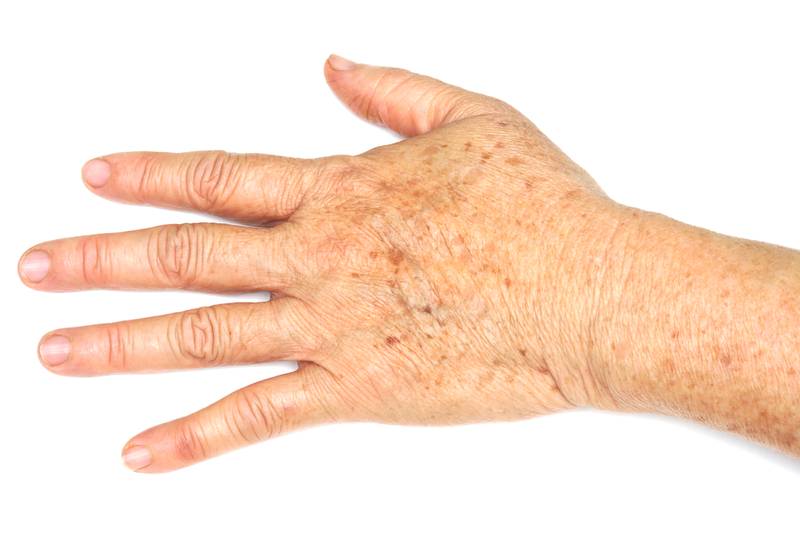 Are my dark spots associated with my Arthritis? In this Ask An Orthopedist, a patient is concerned about dark sports spotted on an x-ray for arthritis. I had a lower back x-ray done about a month ago and was told my diagnosis was arthritis. Can dark spots or black spots be indicative of arthritis? The few spots on the 2 or 3 vertebrae up from the sacrum shows some dark or black spots. What does this mean? The dark spots are not likely in the bone but rather in your intestine. Arthritis manifests itself on x-rays with narrowing of the joint space and spurring.